Enugu state police officials have arrested 3 robbers including a lady who allegedly killed 2 drivers in the state. According to Ebere Amaraizu, the state’s police spokesperson, the robbers who operated on Keke NAPEP on Liberation Road in Awkunanaw area of Enugu fired into the air to scare people away from the area. “Luck ran out on the hoodlums. The lady among them was arrested, which later led to the arrest of the other two persons who were in their hiding place.” A fully loaded locally made gun and a tricycle were recovered from the suspects. “They are helping the police in their investigations,” Ebere said. 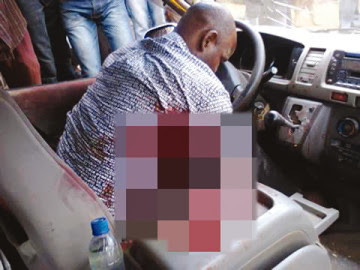 Another bus driver of MTN in Enugu was also killed by unknown gunmen after he was spotted carrying some valuables and huge amount of money. Mr Ebere said the 2nd attack left two people with severe injuries. “On getting to Mbanugo, around Coal Camp, they struck and injured two, leaving the driver dead,” said a witness. Enugu state police command also advised members of the public to apply for security whenever they want to convey valuables or huge sums of money from one location to another. The body of the deceased drivers have been deposited in a local mortuary. THEY ARE VERY BOLD , AND VERY CONFIDENCE TO DO ANYTHING , AND THEY KILL FAST , THEY DO NOT HAVE MERCY , I HAVE EXPERIENCED HELL FROM THEM BEFORE, WHEN THEY TOOK MY CAR AND THROW MY SON IN THE DEEP GUTTER, IT WAS ANUHORRIBILIS , THEY ARE HELL ANGEL.